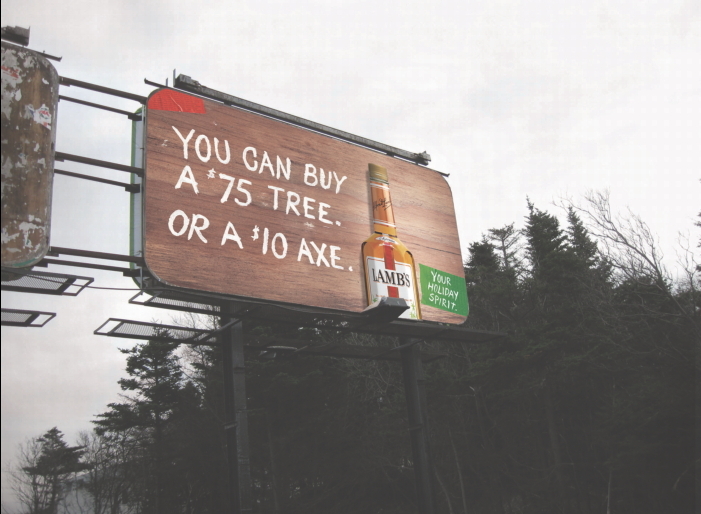 Under the slogan "Your holiday spirit," Lamb's pushes a triage of billboards that speak directly to scruffy dudes exhausted by the spendy and energetic gyrations of others. o "Yeah, we're into free-range turkey. It's called hunting." o "Holiday shopping should be a one-day event." The work builds on Lamb's "It beats fancy" campaign, orchestrated by John St.